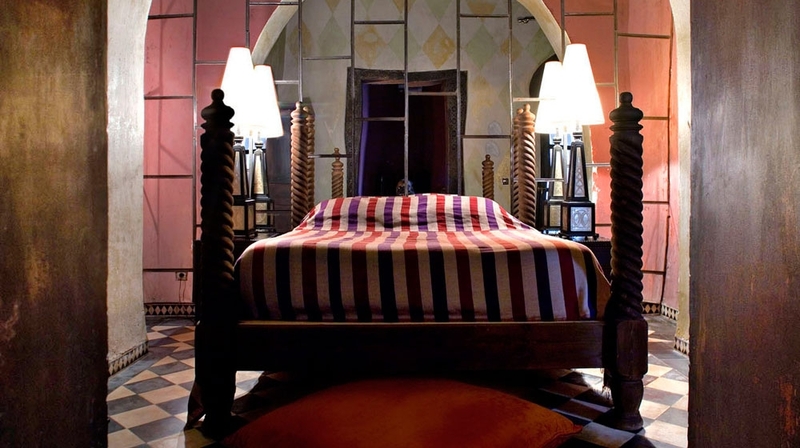 With huge, airy rooms, a sprinkling of silver and gold and antique furniture, Dar Darma is quirky hidden gem in the heart of the Medina. 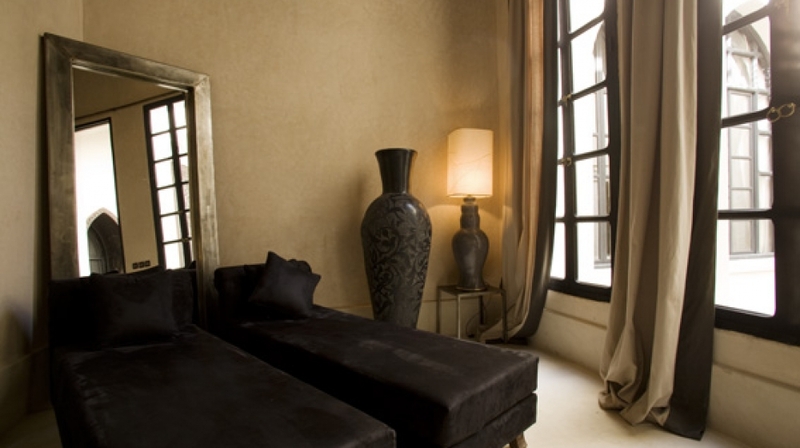 This is not a traditional hotel, rather a private residence that offers a personalized service and relaxed atmosphere. 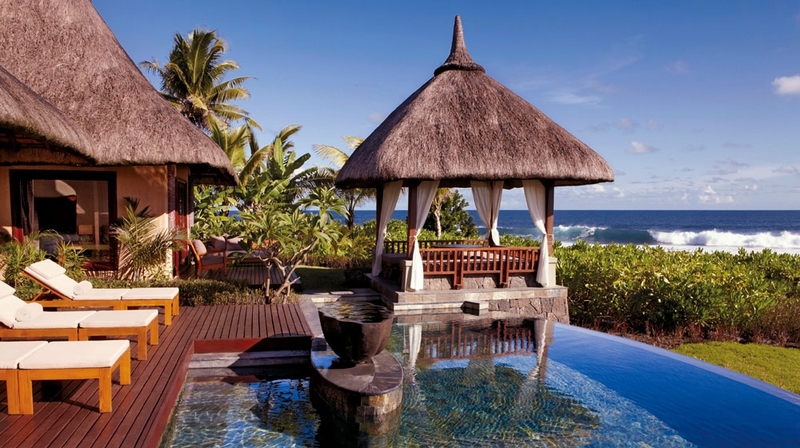 Out Oozing with personality, this is an ideal place for the most demanding travellers looking for an exclusive chilled-out retreat. 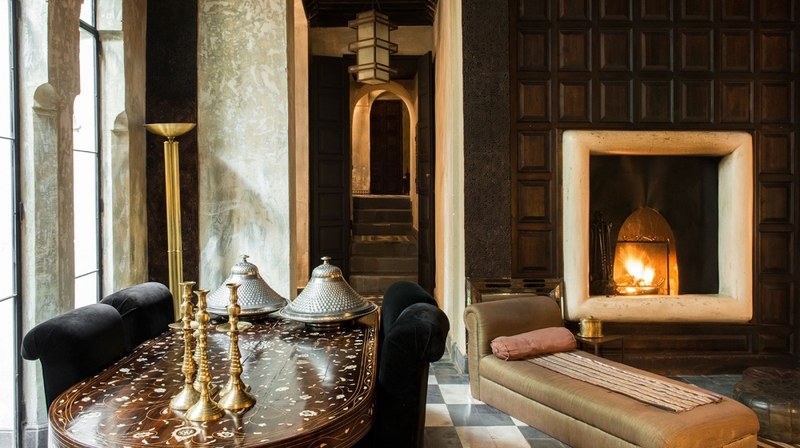 Bathed in rich shades that whisper of decadence, each room showcases an intoxicating fusion of contemporary luxury and old-world Moroccan charm. 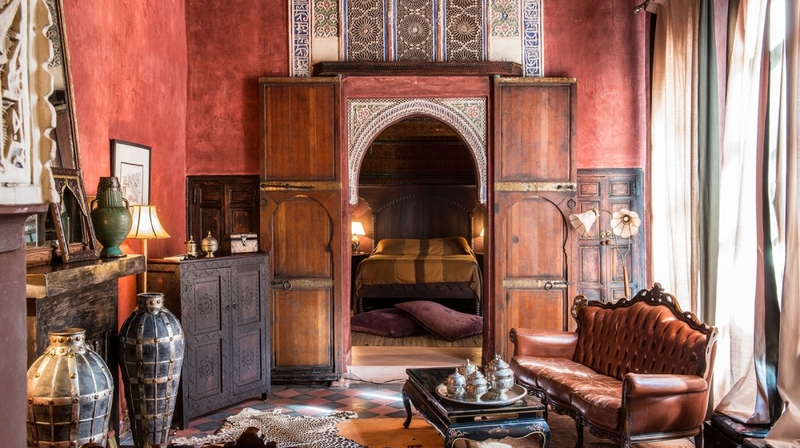 Amid the deeply-drenched interiors, commanding beds and sculpted furnishings sit alongside ornate antiques upon richly patterned, rug-scattered floors. 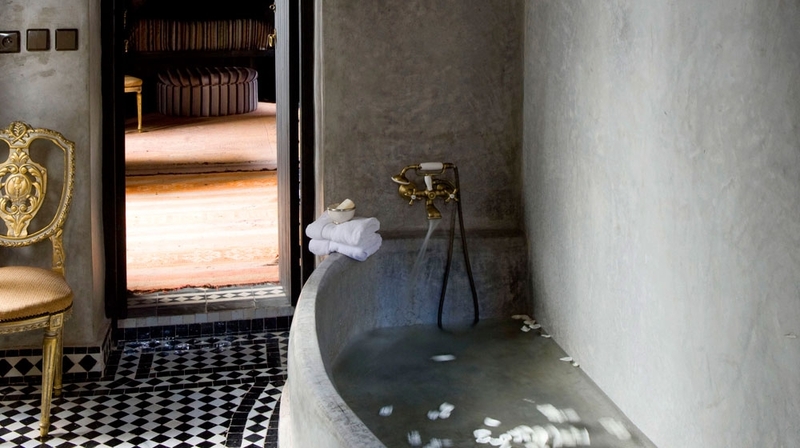 Suites have showers and large baths. 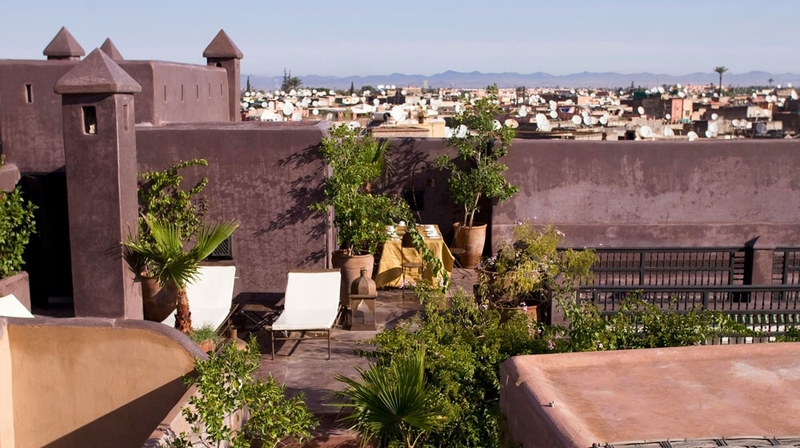 The Terraces offer endless and panoramic views over the rooftops of the Medina, from the Koutubia, to the Palace Dar Bacha till the Atlas mountains. Furnished with sofas shaded areas and sunbeds, the terraces feauture a swimming pool, a refreshing bath and a shower. 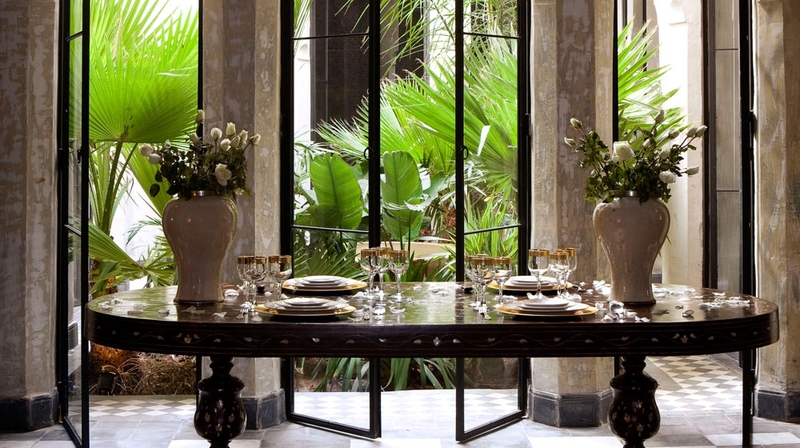 The terraces of Dar Darma are ideal for pleasant moments of relaxation, breakfasts, lunches and dinners. 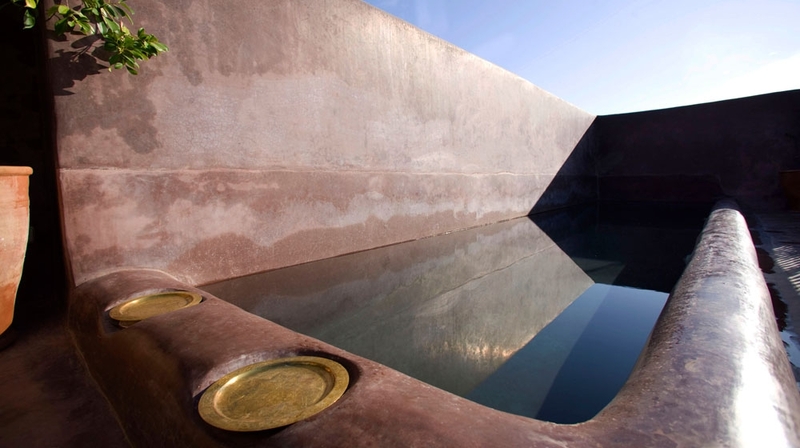 The Hammam of Dar Darma, the traditional Moroccan bath is composed by two rooms of different temperatures, dressing room adjacent. Beauty: massage, the 'scrub' treatment and cleaning of the face are available on request in the hammam or in the privacy of the suite. 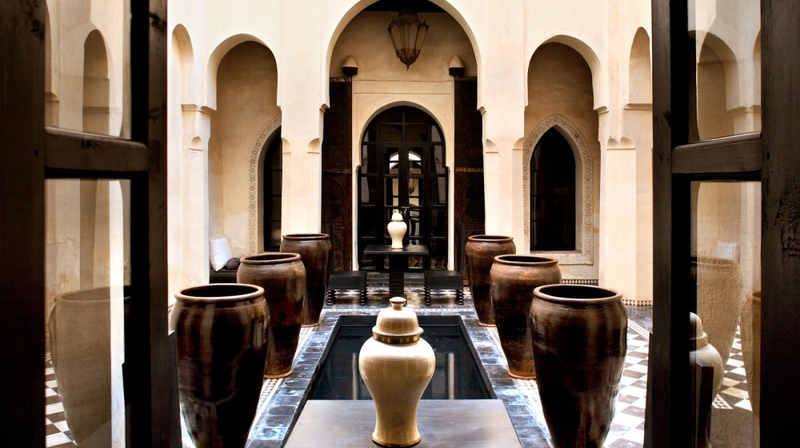 The jewel of Dar Darma is its culinary art, proposed by the cook of the house. On request it is possible to taste lunches and dinners based dishes like the traditional Moroccan soup Hariri, different tajine of chicken, meat or vegetables, cous cous, lemon chicken, cakes and other delicacies. The chef also offers the kitchen and his secrets to show guests the preparation of the dishes. Hotel bar Drinks can be brought to you anywhere in the riad. Room service 8am�9pm, or later with prior arrangement. At the foot of the Atlas mountains, the Royal Golf of Marrakech is one of the most prestigious club in Morocco. 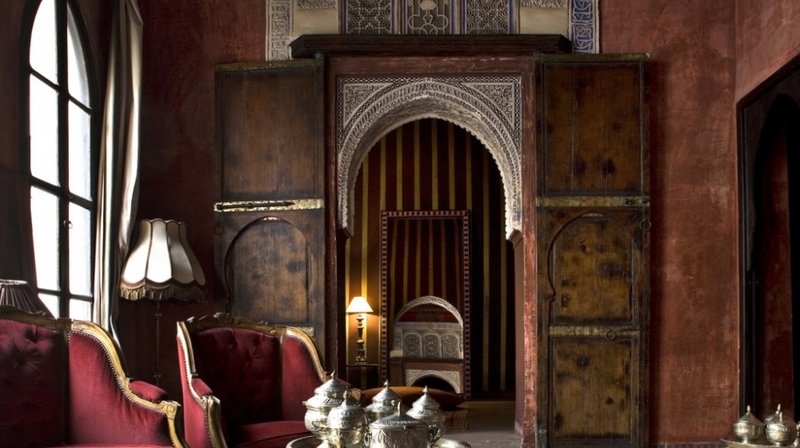 Caftans, rich fabrics, potteries, �babouches�, lamps, silver staff, and spices in the most trendy shops of the city. The library at Dar Darma was conceived as a pleasure place to be shared by all guests; we invite you to borrow a book to be read during your relaxing time or to give us one of those you read and loved, and, why not, to write your remarks and a dedication in it.